Want to dedicate one or more people to post for a specific Instagram account? 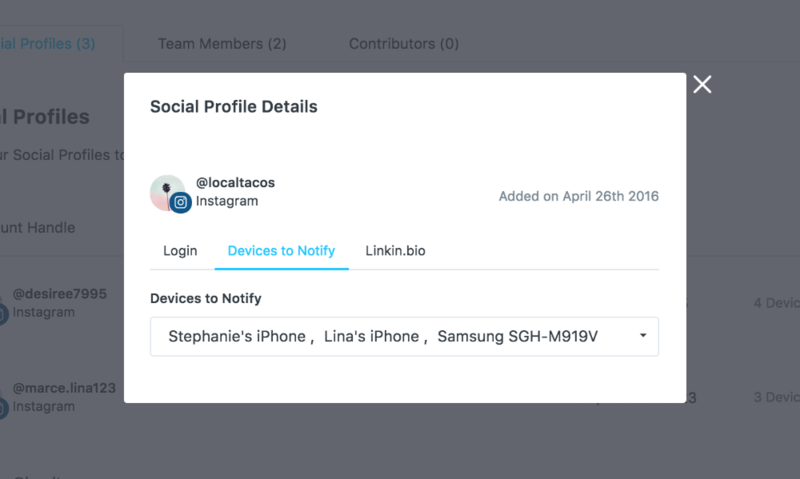 You can connect multiple mobile devices and then dedicated which mobile device will receive mobile notifications for each Instagram account you manage in Later. Note: If you've got an Instagram business profile set up you can also enable Auto Publish with Later to automatically publish single image posts to Instagram! Download the Later app from the Apple Store (IOS) or Google Play Store (Android) on your mobile device. Sign into the Later App with the email and password you created in the sign up process. This will connect that specific mobile device to the Later account. Here you will see a list of all the devices connected to your Later Account. Simply select the device(s) you'd like to be notified on when it's time to post. Important: Have you connected your mobile device but are not receiving your mobile notification? Make sure to login to Later on the web and check that your mobile device is selected to be notified. Otherwise if no devices are selected, notifications are only sent to the person that created the post.